Exercise has proven to be beneficial for both the body the mind, as getting the heart pumping and maintaining a healthy weight and diet go a long way toward keeping us performing at our best. But perhaps we can make this benefit even better. According to a new study by scientists at Wake Forest University, drinking beetroot juice supplement before working out makes the brains of older adults perform more efficiently, mirroring the operations of a younger brain. The researchers of the study acknowledged that exercise in itself has many benefits that may confound the results of any other substance used during strenuous activity, but took steps to test exercise alone and exercise adding beetroot juice supplement, finding significantly different results. They admit that more research is needed in this respect, but their findings suggest that what we eat as we age could be critically important to the maintenance of our brain health and functional independence. The study in question included 26 men and women aged 55 and older who did not exercise regularly, had high blood pressure (hypertension) and took no more than two medications for said blood pressure. They were given a beetroot juice supplement called Beet-it Sport Shot three times a week for six weeks. They drank this supplement one hour before moderately intense exercise, comprised of a 50-minute walk on a treadmill. 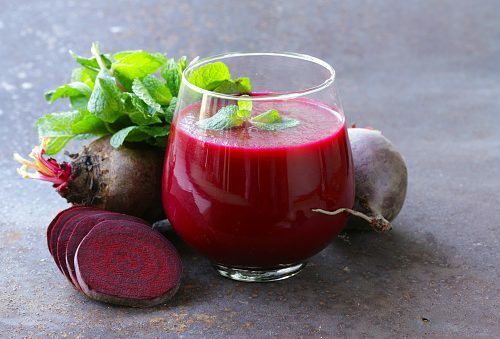 Half of the participants received the beetroot juice supplement containing 560mg of nitrate, with the other group receiving a placebo supplement with little nitrate. This identification of nitrate was important to researchers, as beets contain high levels of it and it serves to be converted in the body into nitric oxide (NO) when consumed. This molecule is thought to increase blood flow by dilating blood vessel and has been previously seen to improve exercise performance in people of various ages. “Nitric oxide is a really powerful molecule. It goes to the areas of the body which are hypoxic or needing oxygen, and the brain is a heavy feeder of oxygen in your body,” said W. Jack Rejeski, study co-author. It is known that exercise strengthens the somatomotor cortex, which is involved in processing information from the muscles. So, by combining beetroot juice with exercise, the body is able to use the increased level of dietary nitrate to produce more nitric oxide, delivering more oxygen to the brain. The post-exercise analysis shows that both study groups were found to have similar levels of nitrate and nitrite in the blood before drinking the juice, but the group receiving the supplement had much higher levels of the vessel dilating metabolites after exercise sessions.